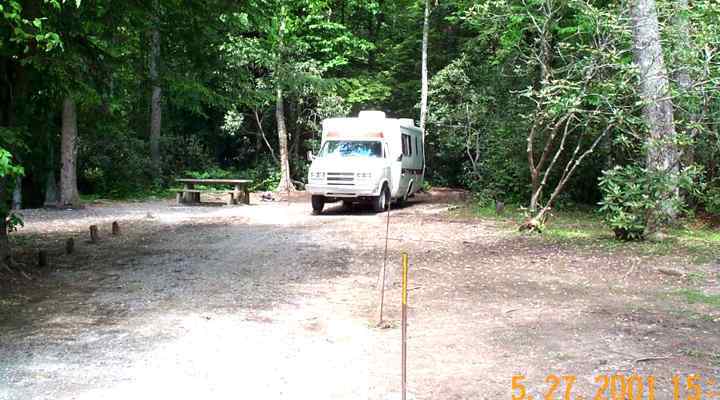 This is the State Line campground, located on the TN/NC state line. 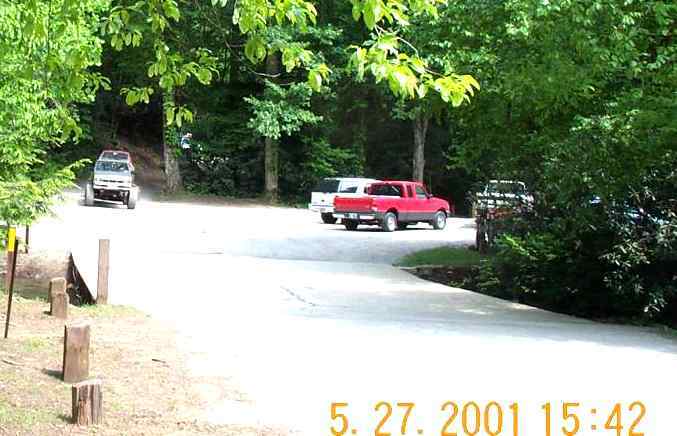 This has traditionally been the campground that ORV fans have camped at when riding the recreational area on the North Carolina side. 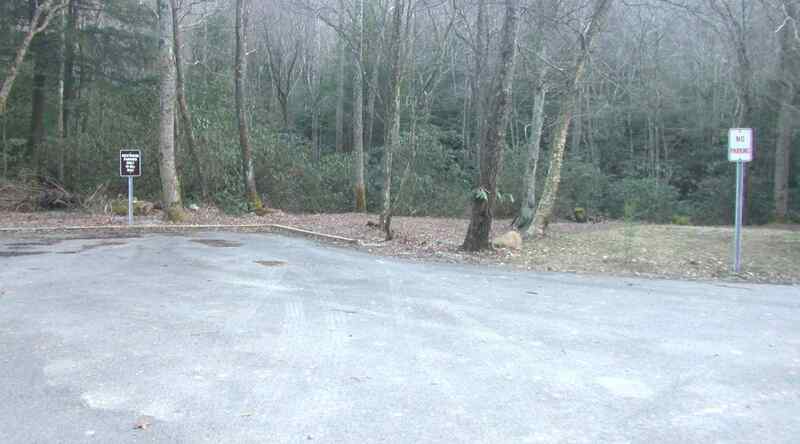 As they have all over the Tennessee side of the forest, the Forest Service has pretty much ruined this campground while turning it into a fee site. So unfortunate, as this campground has been here since the CCC camps of the 30s and 40s. Be sure to REFRESH each page on this site as I'm adding content on a daily basis. 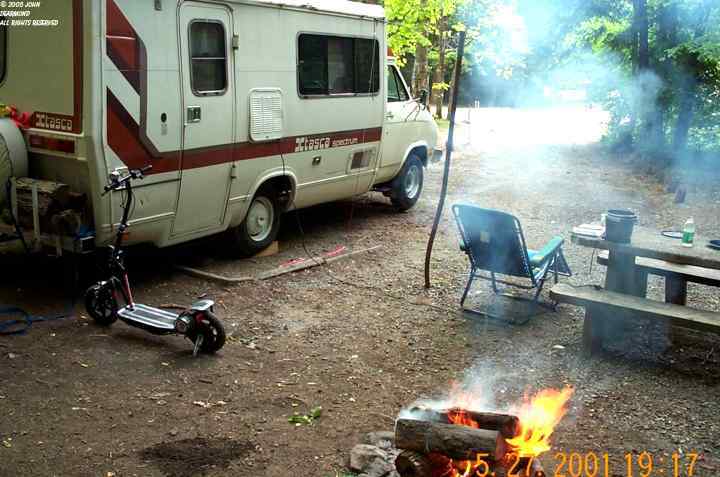 Here is a typical camp slot. A nice little flat spotting place but not worth the new fees. 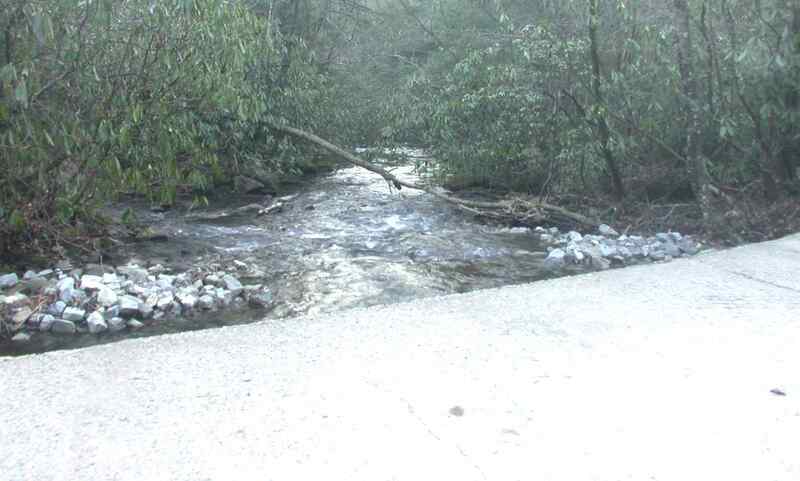 State Line Creek that runs through the campground. This used to be a lovely little roundstone mountain creek but as you can see now, it is filled with FS placed limestone rocks. Another view of the site pictured below and to the left before the FS assault. It WAS a very nice little site. This used to be my favorite spot. 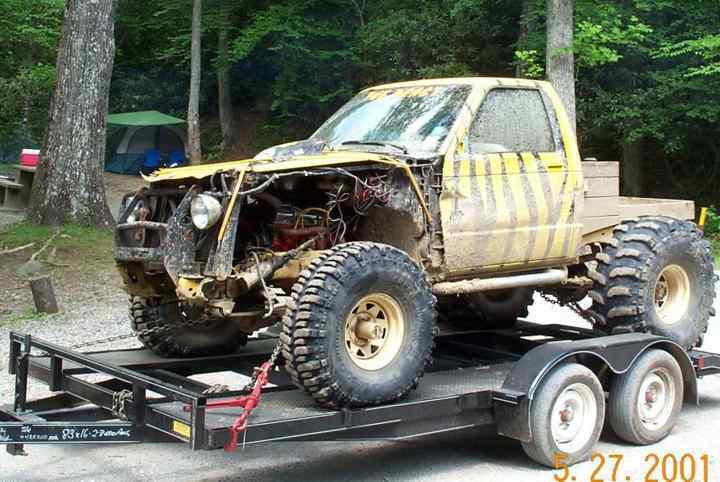 Before the FS ruined it with the buried logs. Used to, two or three units could camp here. Very nice when several groups of people want to camp together. 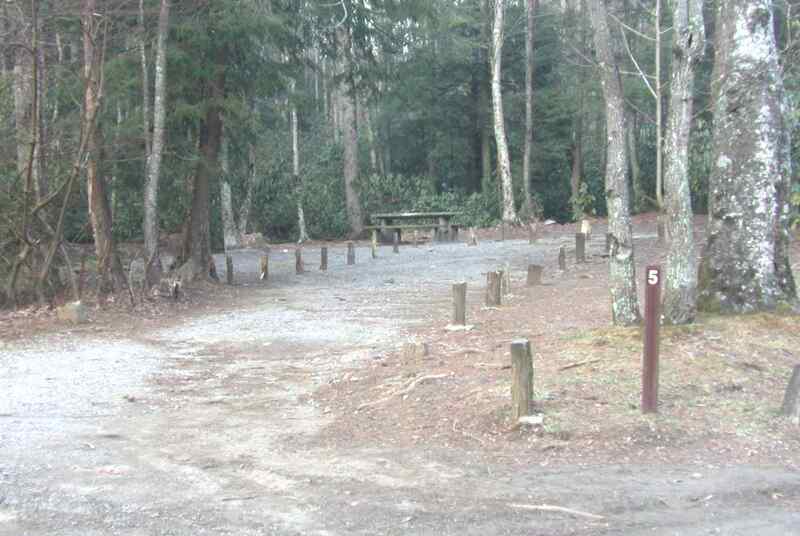 This is what that site looked like before the Forest Service assault. This WAS a very nice spot right on the State Line creek. 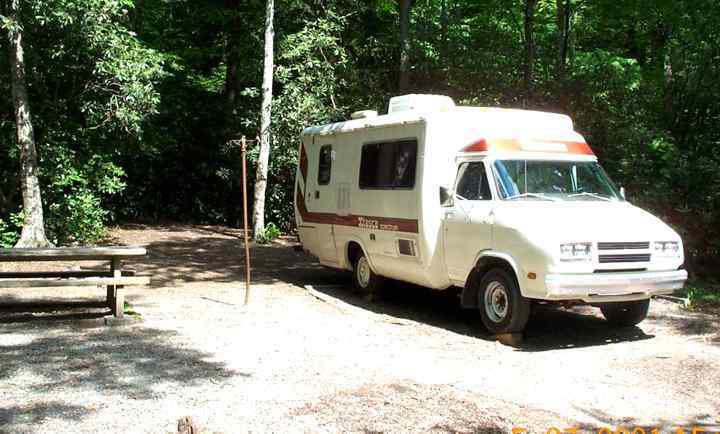 Room for a couple of campers. Now the FS has blocked it off with the trash cans. Ah, progress.... In the background of this photo, this same site can be seen before the FS assault and the garbage cans.. 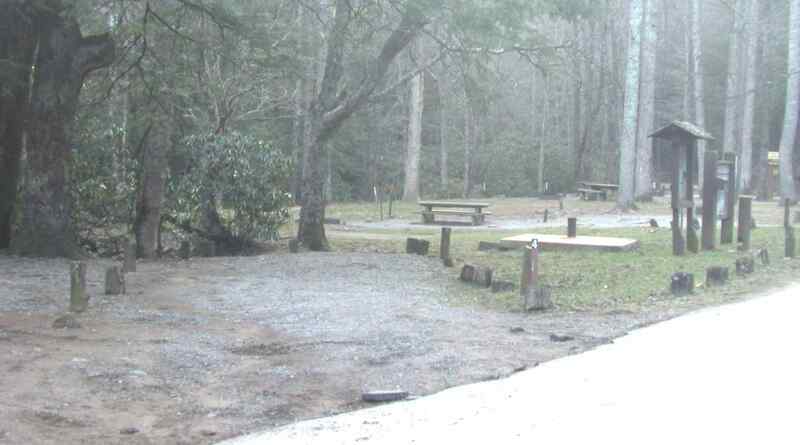 There used to be about 4 camp sites and a huge hickory tree at this post. 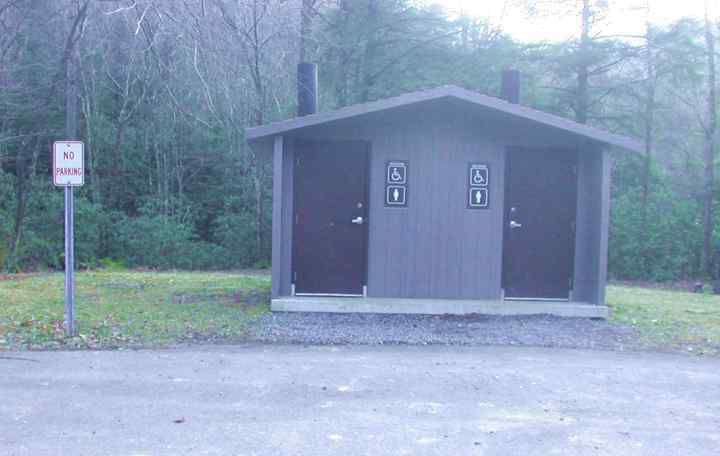 Now there is a parking lot for a $100k outhouse. This photo is approximately the same photo to the left where the outhouse is now. The $100k outhouse. These may have actually cost more than that. The FS were paying $75k for much less fancy outhouses over 20 years ago. 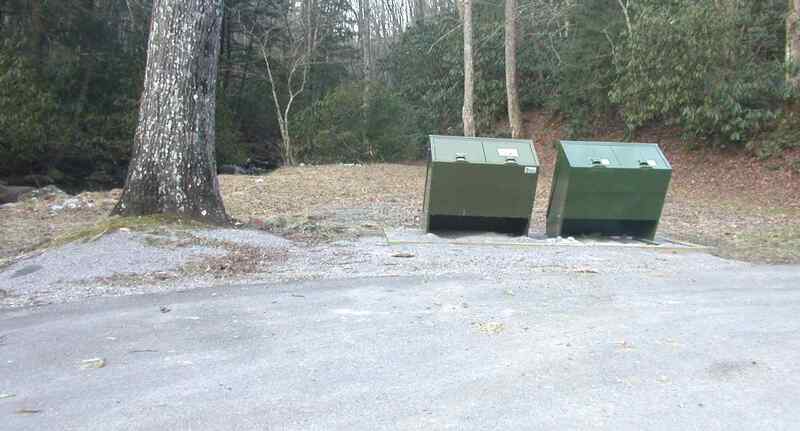 Just like authentic outhouses, these are unusable in the summer because of the odor. Another view of the campsite three photos up and to the left before the FS assault. 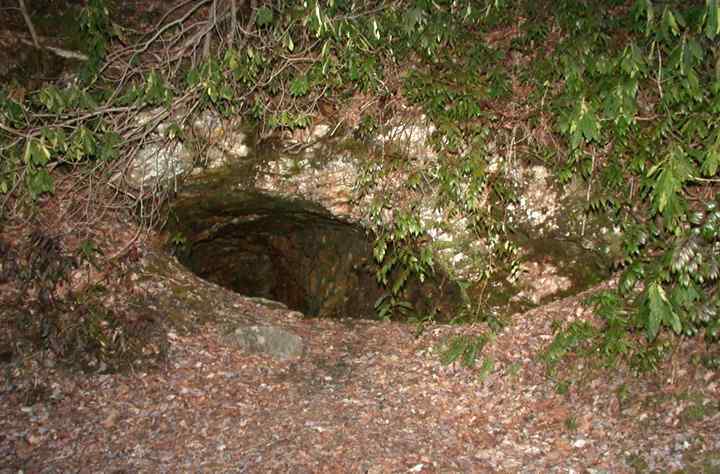 This is the old quartz mine, located right outside the State Line CG. During WWII pure quartz for radio crystals was mined here. Unfortunately they filled in the vertical shaft so that all is left is this shallow horizontal shaft.